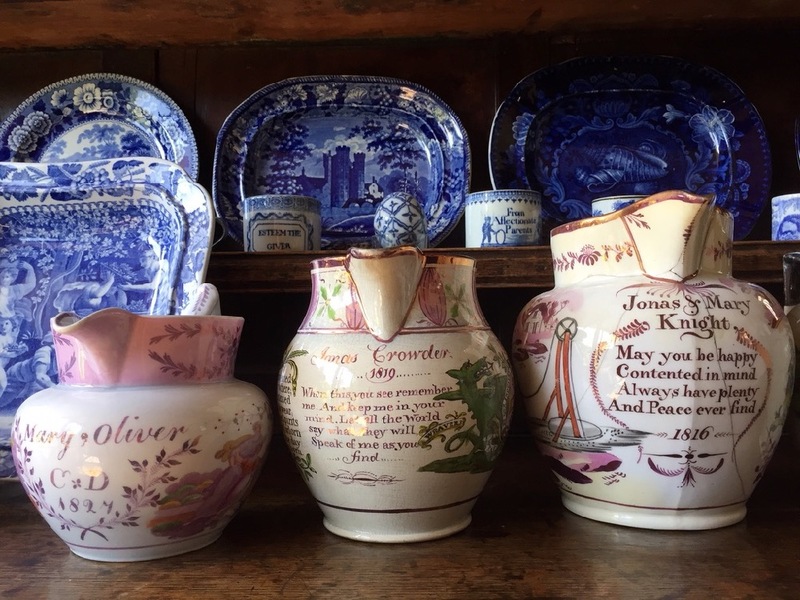 Dishy News - A Transferware Blog: NAMED AND DATED CERAMICS, RESEARCH, AND THANKS! NAMED AND DATED CERAMICS, RESEARCH, AND THANKS! I received some excellent feedback from Gary Hammond recently. He had read my post titled "The Weaver's Arms On Transferware," where I asked if anyone could help me identify the names of the people printed on the jugs seen below. Gary found information about Elijah Pointon, see the jug on the left, in an 1841 & an 1851 Census for Leek in Staffordshire. 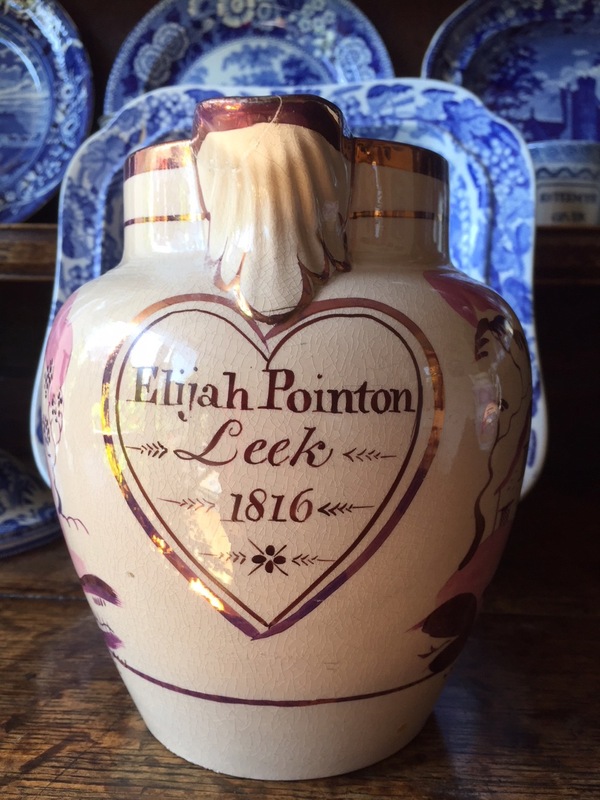 Elijah Pointon was born there in 1816. 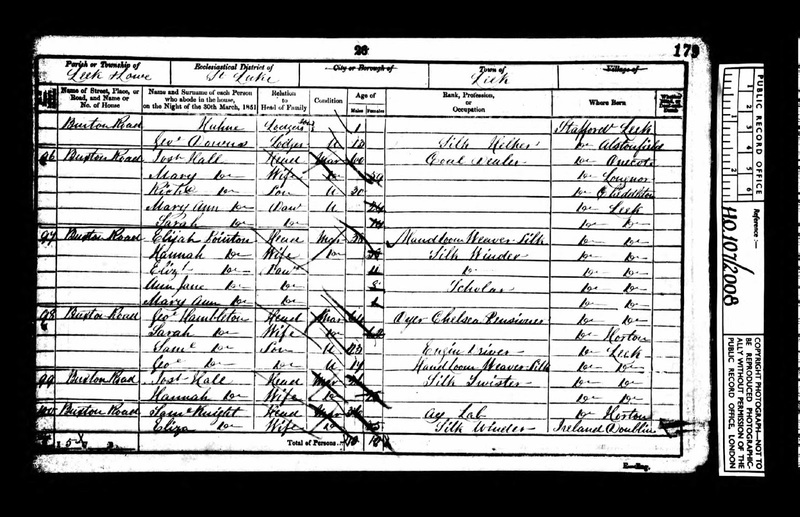 Census for 1841/Click on the photo to make it larger. 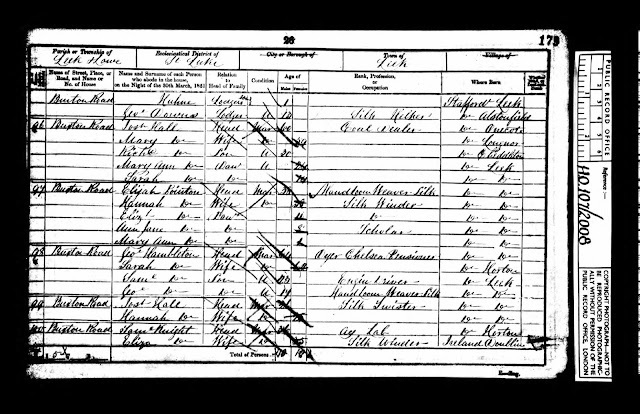 Census for 1851/Click on the photo to make it larger. When I took the jug down from a shelf to dust and photograph it, I found a printout from Barrie Cathcart of Barrie Cathcart Antiques, dated 2007, which says "I found him (Elijah Pointon) in Leek, born 1816, and dying in 1853. 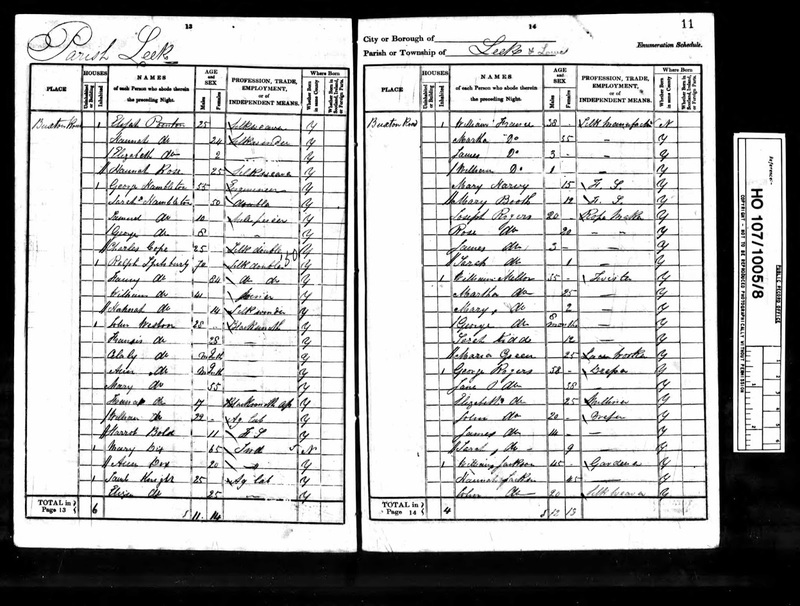 He married in 1839 to Hanna, he was a silk weaver and she a silk winder. They lived at Buxton Road in Leek. 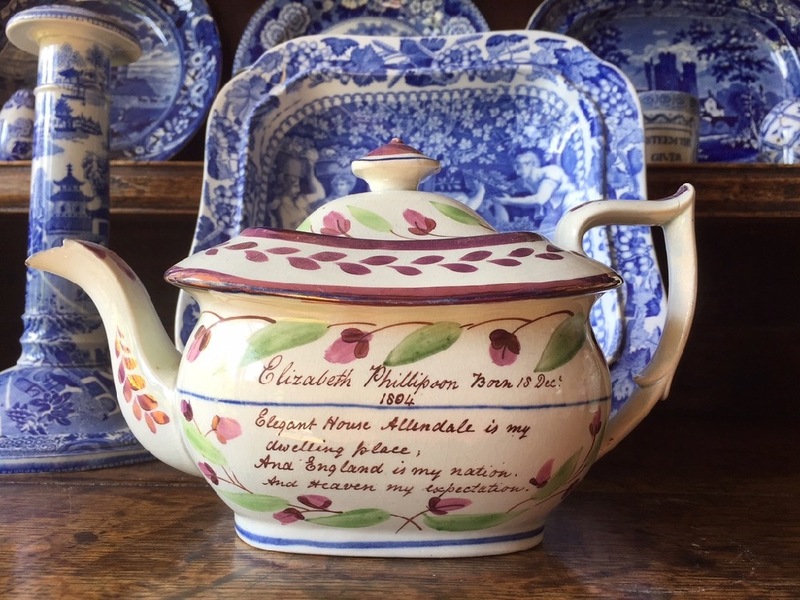 Their children were Elizabeth, Mary Ann, and Ann Jane." I should dust more often. Earthenware 6.5 inch high jug painted in pink lustre with a name and date plus a common cottage pattern on both sides. The clay is colored cafe au lait (I don't know the proper term). 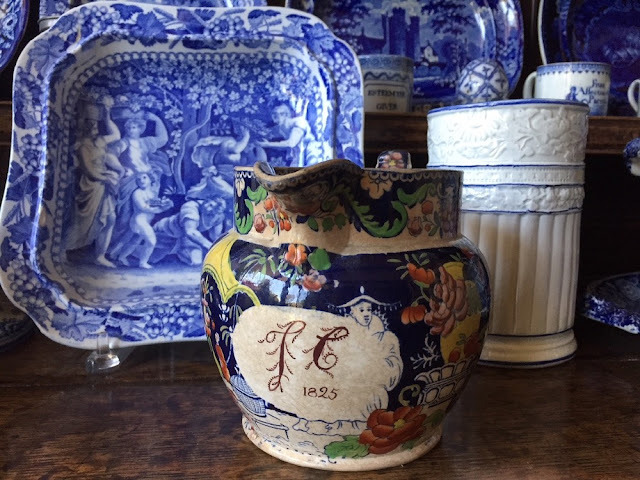 The heart surrounding the name and date is charming. 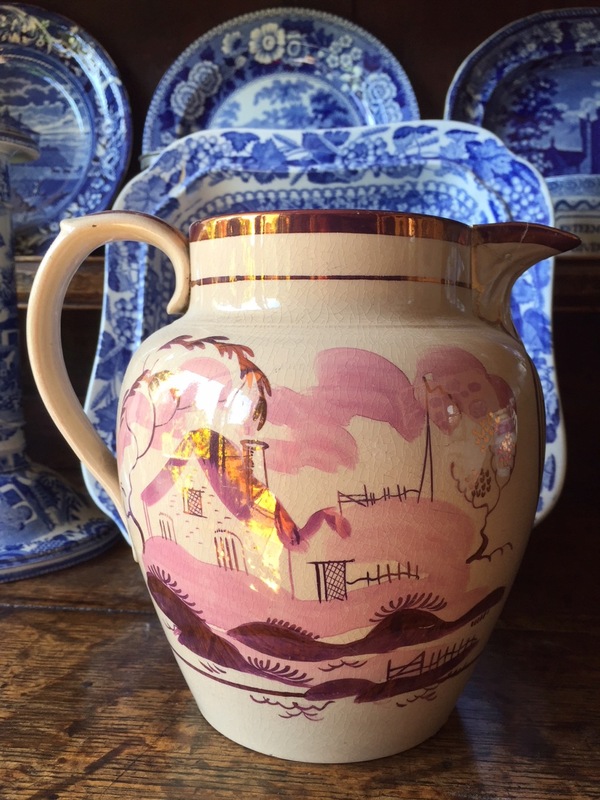 The sides and border of the Pointon jug are painted with pink lustre. I decided to search my collection for all of my named and dated patterns. I had more than I remembered. 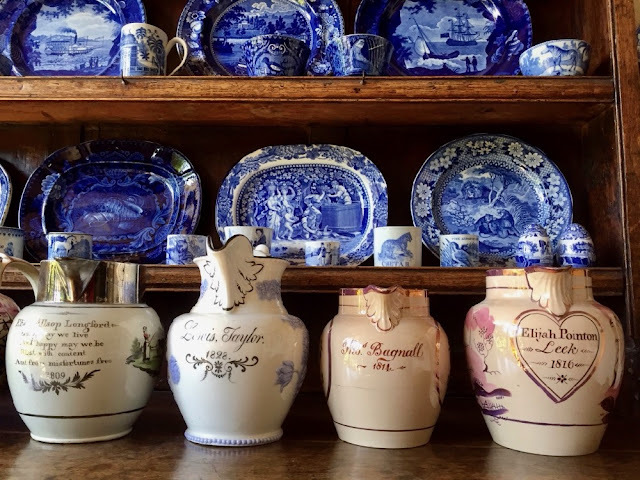 Most are not transferware, but some include transfer printing. I own seven jugs and one teapot. 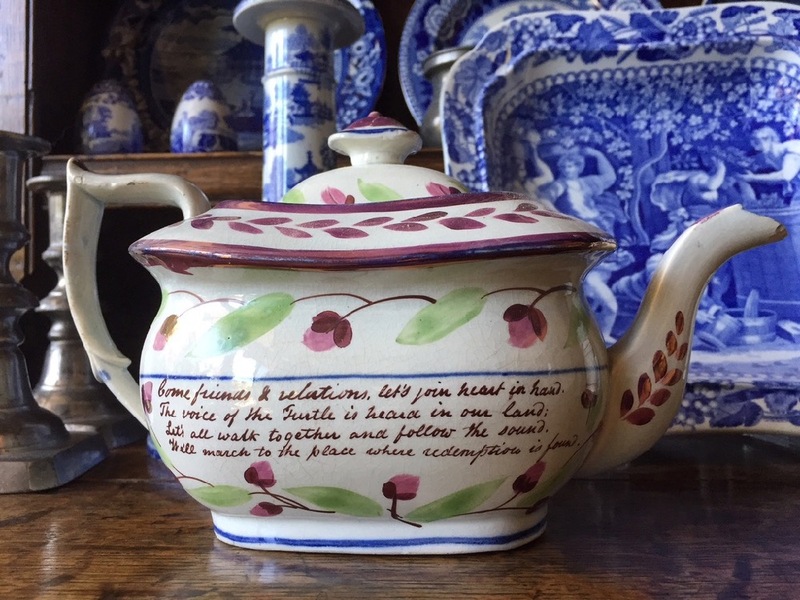 Most of the items are handpainted with pink lustre and other colors. 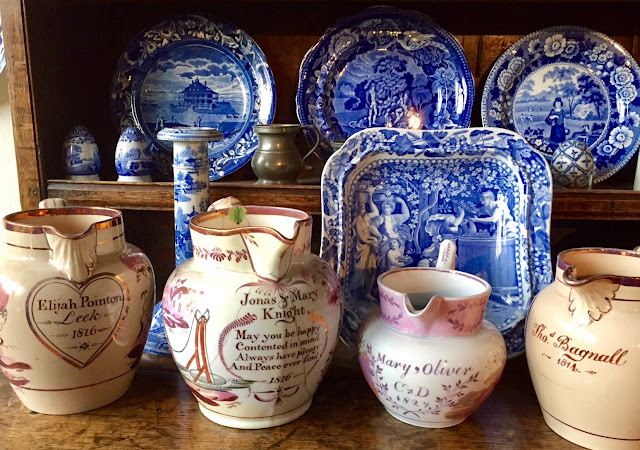 Notice that all of the items have dates from the early 19th century. Other side of the teapot seen above. "Come friends & relations, let's join heart in hand./The voice of the Turtle is heard in our land:/Let's all walk together and follow the sound./We'll march to the place where redemption is found." I thought I showed you all of my named and dated jugs, but David found another! If you want to see more photos of any of the pieces (like the sides), let me know.